Liverpool will travel to London to clash heads with Crystal Palace at Selhurst Park on Monday night. Both teams managed to get a victory on the opening gameweek of the Premier League season. They will now look to build on it and gain another three points this weekend. 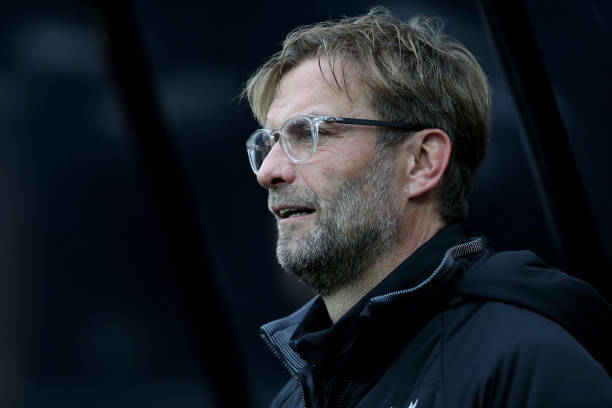 Jurgen Klopp’s side banged in four goals against West Ham United on Saturday while also keeping a clean sheet at the back. The Eagles also managed to get an impressive 2-0 victory away from home against Fulham. The clash at Selhurst Park has the makings of a great contest with two teams looking to play open, attractive football. The recent history of this fixture overwhelmingly favours the Merseysiders as they have been able to win in each of their past three meetings with Palace. Klopp is expected to stick with his 4-3-3 formation and might hand Jordan Henderson his first start of the new campaign. Alisson Becker will undoubtedly start for the Merseyside giants at Selhurst Park. The Brazilian goalie kept a clean sheet in his last outing versus the Hammers but was largely untested in between the sticks. Virgil Van Dijk and Joe Gomez are going to take their place in central defence in the absence of Dejan Lovren and Joel Matip. Andrew Robertson would play in the left back position while Trent Alexander-Arnold looks to improve his game on the right side of the backline. Liverpool skipper Jordan Henderson should return at the heart of the Reds midfield alongside the new signing, Naby Keita while James Milner, who put on a man of the match show at Anfield last weekend, would look to continue his excellent form at the middle of the pitch. The trio would look to work tirelessly to help their side maintain dominance on Monday night in what could be a tricky test for them. Jurgen Klopp’s magnificent front three of Sadio Mane, Roberto Firmino, and Mohamed Salah will once again start up top and look to cause havoc in and around the opposition penalty area. Both Mane and Salah managed to find the back of the net in the last gameweek, so they would be full of confidence going into this encounter. Daniel Sturridge and Xherdan Shaqiri are both expected to be named on the bench and might come on to make an impact during the latter stages of the match at Selhurst Park. Crystal Palace In The Running To Sign This Borussia Dortmund Ace: Massive Coup For Hodgson? Crystal Palace On The Brink Of Signing This Dutch Defensive Rock: A Smart Buy By De Boer? Crystal Palace Linked With Highly Impressive Fulham Ace: Why Hodgson Needs To Get This Deal Done!